Record signing Gordan Petric duly made his debut, but he'd hardly had time to get on first name terms with his colleagues before our propensity for shooting ourselves in the foot had struck again! Brian Welsh got his head to a long throw and Dave Bowman, trying to clear only succeeded in nodding the ball to the feet of the unmarked Arnott who netted from ten yards past an exposed Guido van de Kamp. Thereafter the Tangerines indulged in some neat possession play, but were lucky not to go further behind when a Martin cross found Arnott, again unmarked and his header came back off the crossbar and McGrillen somehow contrived to send the rebound past the post with the goal at his mercy! Three minutes later Dykstra was called into serious action for the one and only time in the match, Brian Welsh got on the end of an Andy McLaren cross and his first time volley had Dykstra at full stretch to keep the ball out. 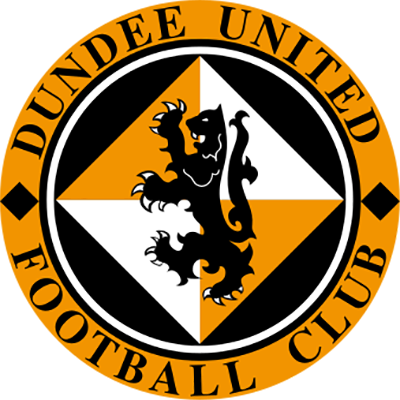 United continued to enjoy territorial advantage, but rarely lacked the ingenuity or penetration to open up a compact Motherwell defence. 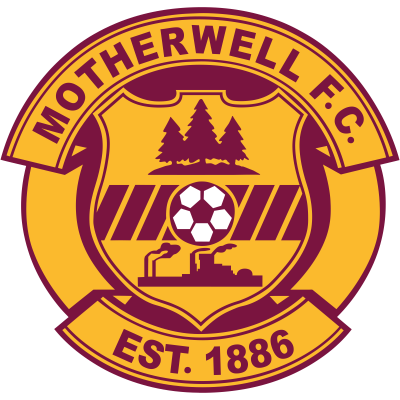 Indeed, Motherwell might easily have increased their lead five minutes from half time when Dolan capitalised on hesitation by Jim Mclnally, but fortunately, the Motherwell midfield man's shot was way off target. Yet another defensive error midway through the second half cost us a second goal and the match. Arnott played the ball into McGrillen's path on the left and when he squared the ball into the middle, skipper Maurice Malpas slipped and failed to cut it out, allowing the ball to run to Kirk who had time to steady himself before steering the ball into the far corner. Before the end the home side could easily have added to their tally. Kirk hit the post from an acute angle and only a flying save by Guido van de Kamp kept out Martin's curling shot. 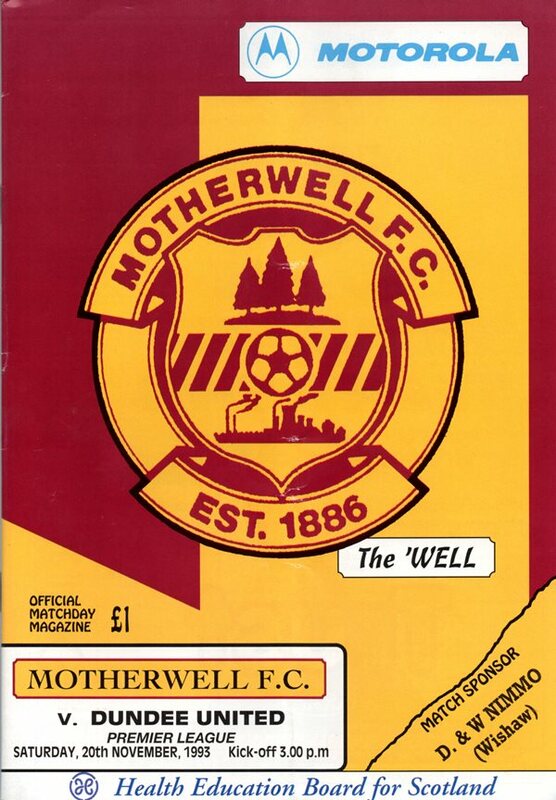 Whilst the telling play of Gordan Petric was all that manager Ivan Golac had predicted, the only other plus factor from a disappointing afternoon on a treacherous Fir Park surface was the form of Guido van de Kamp who was blameless for both goals.